Here are some of the classes that Pinnacle offers. Pinnacle’s Mini Rangers Martial Arts and Self Defence program has been designed and tailored specifically targeting 3-6 year olds. The activities, drills and concepts we exercise are specifically created to target the needs and challenges of early childhood development. Our aim is to ensure that the Mini Rangers enjoy and participate in a non-competitive, safe and friendly environment allowing them to develop concentration, confidence, social skills and further enhancing their motor skills, mobility and athleticism. 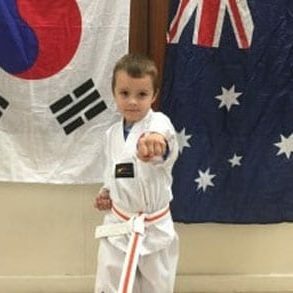 The Mini Ranger Martial Arts program is unique and currently runs in over 40 of the finest preschools in New South Wales. The instructors are highly certified and experienced in teaching kids Karate from ages 3-6 and really know how to get the best out of the child. 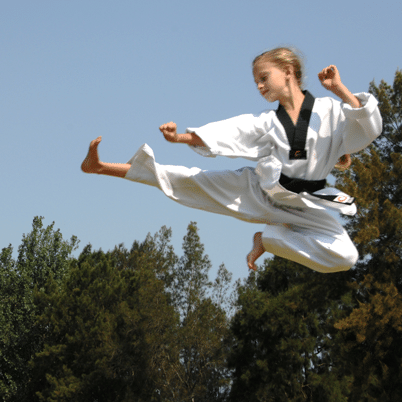 Our comprehensive Martial Arts programs offers children a strong foundation in essential character qualities such as courtesy, respect, and discipline. In addition, the program is designed to improve children’s motor skills and enhance their ability to pay attention and follow directions. All classes are taught using the most safe, fun, and exciting instruction methods available for this age group. As it is for all our students we aim to teach our Mini Rangers the skills that will allow them to progress to the next level and in turn building their life skills. Pinnacle’s Martial Rangers program caters for primary kids ranging from 6 – 12 years of age and has been a successful program with our students. This program has been such a success that we already have students who have gained their black belt’s within the Children’s program. This is due to the successful Kids Martial Arts program and latest training methods and techniques that has allowed Pinnacle students to progress through the ranks at high speeds with confidence,skill and ability. 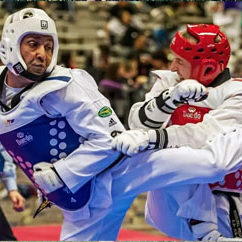 Taekwondo is an excellent cross training sport that will greatly compliment the performance, balance, stamina, and concentration of any athlete in other sports outside of Taekwondo. 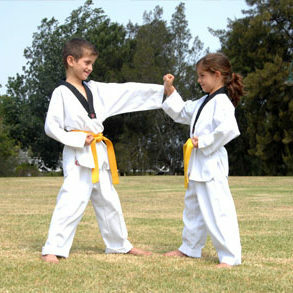 In turn we feel that other sports, outside of Martial Arts, are a great advantage and serve to compliment Taekwondo. Over the last 50 years Grand Master Hassan Iskandar and the team of Black Belt Master Instructors at Pinnacle Martial Arts Taekwondo have studied, trained and enhanced the already effective self-defence techniques, for Kids, Children and Teens, to deliver effective Self Defence training and dynamic, exciting and fun Martial Arts for diverse ages, abilities and levels. Kids and Teens Self Defence is an art and at Pinnacle we feel that just like painting, drawing or sculpting we have to properly structure our programs to ensure that what we teach through correct technique so that the students learning Taekwondo can defend themselves under various circumstances. Traditional Taekwondo/Korean Karate is an extremely powerful self-defence martial art. Pinnacle has taken the practical effective techniques and improved on them for greater effectiveness while in turn ensuring that the defender, in the training sessions, is safe. At Pinnacle we have studied and researched the art of Martial Arts and boxing to provide the students with the most comprehensive martial arts that is spectacular, dynamic, effective and realistic. Through our 50 years of training we have been able to produce and select techniques from various martial arts from around the world to ensure that we provide this to our students so that they can reach their pinnacle in Taekwondo. Do you feel tired, stressed, overworked and lethargic? Do you feel like you are putting on weight and do not have the energy to do what you used to do? Do have diabetes, blood pressure or other medical systems that can be changed through a lifestyle change? With the pressures that we have to deal with in life, we need to put some time aside to focus and re-energise ourselves in a family friendly non-threatening, non-intimidating environment. Most adults shy away from gyms and health clubs as they feel that they are being watched and judged. 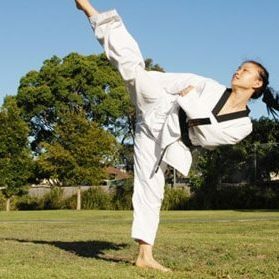 Our Adult Martial Arts Program at Pinnacle Martial Arts Taekwondo Academy in Marrickville and Chester Hill Sydney offers you that comprehensive Martial Arts, Self Defence and fitness program to help reinvigorate and rejuvenate your lust for exercise through structured training. Pinnacle Taekwondo Academy has won medals at the state, national and international tournaments against some of the biggest and most powerful nations and international coaches to really put pinnacle on the radar internationally. The popular Pinnacle Martial Arts classes in Marrickville and Chester Hill Sydney are ideal for kids, teens and adults of all ages and levels. The Pinnacle team is known for life changing achievements, Pinnacle Martial Arts has a proven record in transforming average kids into champions and role models. The Pinnacle Team of Grand Masters, Black Belt Master Instructors, Elite Coaches and developed the unique Pinnacle Martial Arts Style which is a dynamic mix of the popular Martial Art of Taekwondo, Proven Korean Karate, Effective Self Defence, Boxing & Kick boxing Methods, Fitness, Discipline, Progressive Kung Fu influenced Martial Arts and selected techniques from popular Martial Arts to suit Kids, Teens & adults. Pinnacle Martial Arts HQ is in Marrickville Inner West Sydney near Petersham, Lewisham, Stanmore, Summer Hill, Ashfield, Ashbury, Dulwich Hill, Hurlstone Park, Earlwood, Enmore. Newtown, St Peters, Sydenham, Tempe, Bexley, Mascot, Turrella and Wolli Creek.